Indiana county water reports. Select your county from the text list below for your Indiana county water report. There are many counties in Indiana with questionable water quality. It is important to know what is in your water. Weather you drink it, bathe with it or cook with it. If you are using your tap water, have it tested. Your Indiana County Water report is available to anyone. If you, your family, or even your pets, are feeling just the slightest bit ill, check your water. 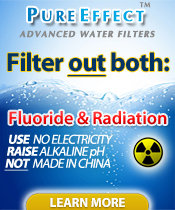 If it is contaminated, get a filter. Even if the contaminants found are at “acceptable” levels. Copyright © http://indianawaterfilters.org/essentialwaterblog 2011 - 2019 all rights reserved.